More or less okay. Sufficient I guess. Has a lot of bad vices I'm not really a fan of. Still SCREAMS when someone comes over. Like, the entire time. Very very annoying. Still cries. For no reason really. Hardly talks anymore. Won't play with toys. Cries because he's bored because he doesn't play with toys. Has gotten over some objects he used to find scary, so that's good. Got him flying more, but only when he's scared, however his flying has improved. Also hormonal and molting. Pretty sure he's a male because I see him regurgitating once in a blue moon to his belongings. Sometimes gets too big for himself and tries to be a jerk to me so I'll kick his tail. Luckily those moments aren't very common. 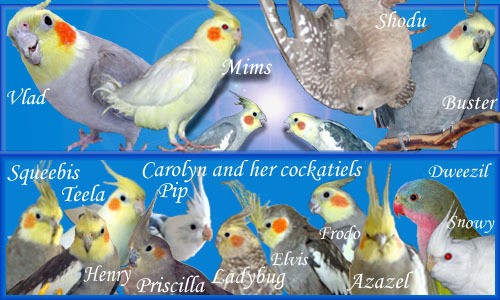 My birds generally know if they act like an idiot with me I don't take that too kindly. I swear, Jaid hasn't aggressively bitten me in more than a year. I paid $800 for this sweet baby, but honestly, I'm not satisfied with the store I got him from. I had so many more expectations from these guys, but is he worth the $800? No. He isn't socialized, was hardly weaned, doesn't really know how to play with toys, wasn't hand trained. Ugh, I'm always stuck with this crap. 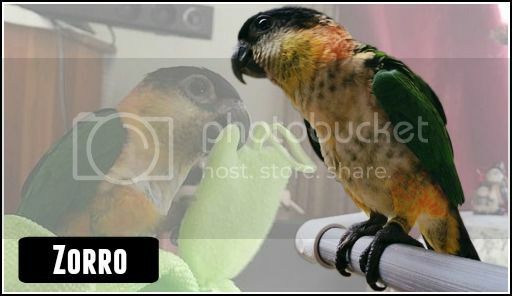 I love that bird, but for $800, a good start on his life would've been worth what was paid. Poor guy, stuck with a mom like me. have u tried making ur own toys? i noticed alot birds perfer home made rather then store bought. This thread is a few months old. I haven’t heard from Bluekeet in a while. Maybe Danny grew out of the phase? Nevertheless, I wish her, and her birds the best!